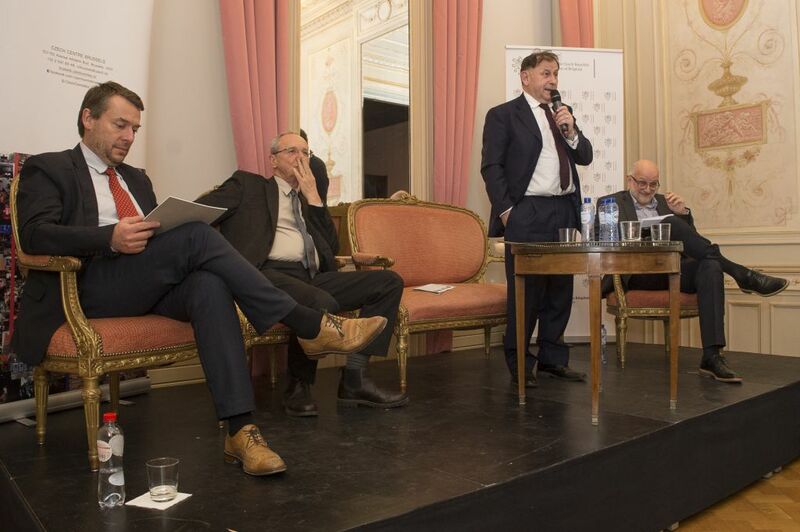 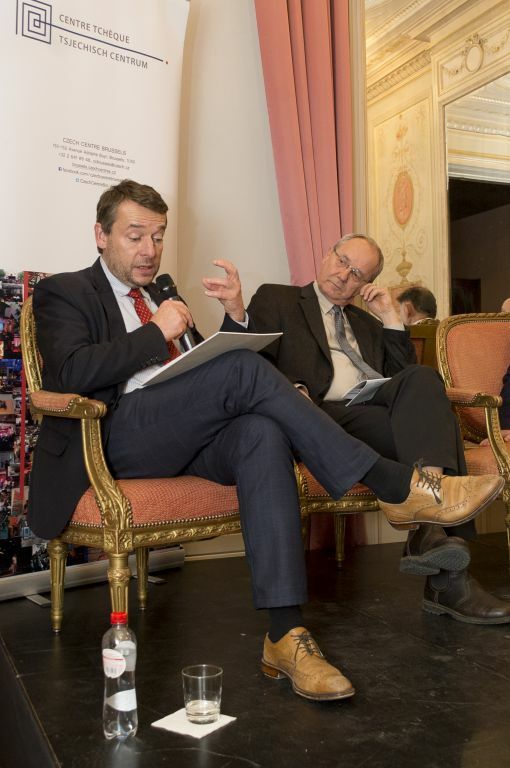 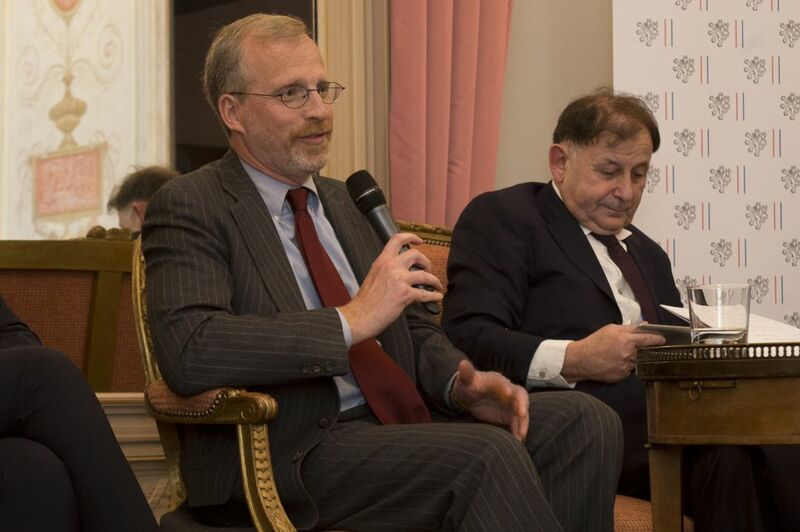 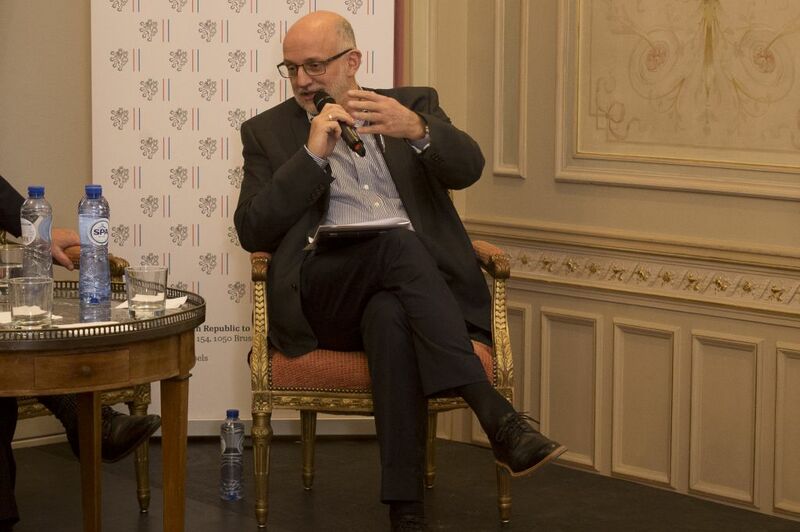 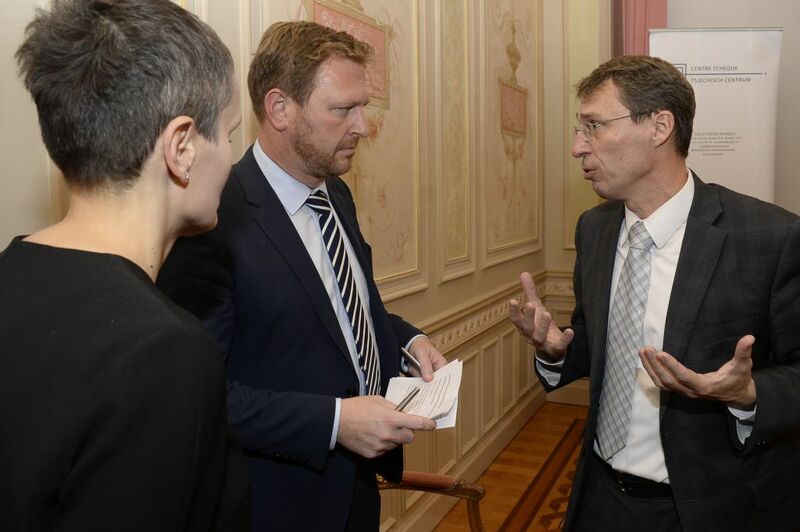 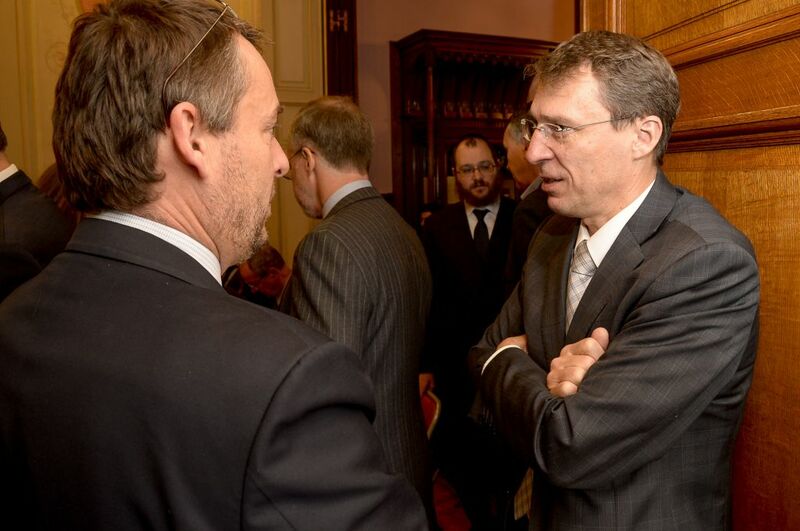 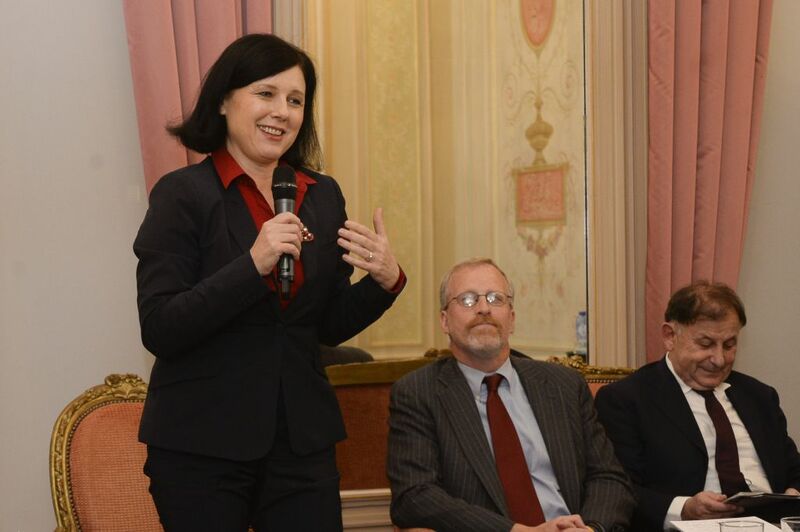 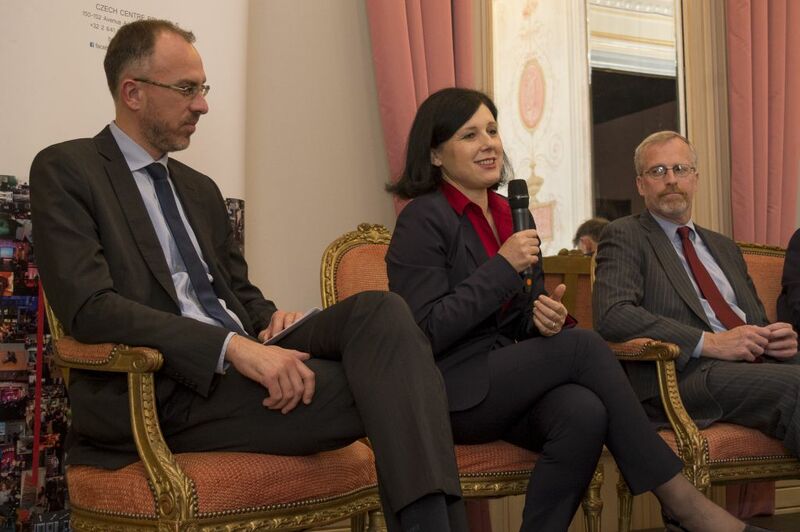 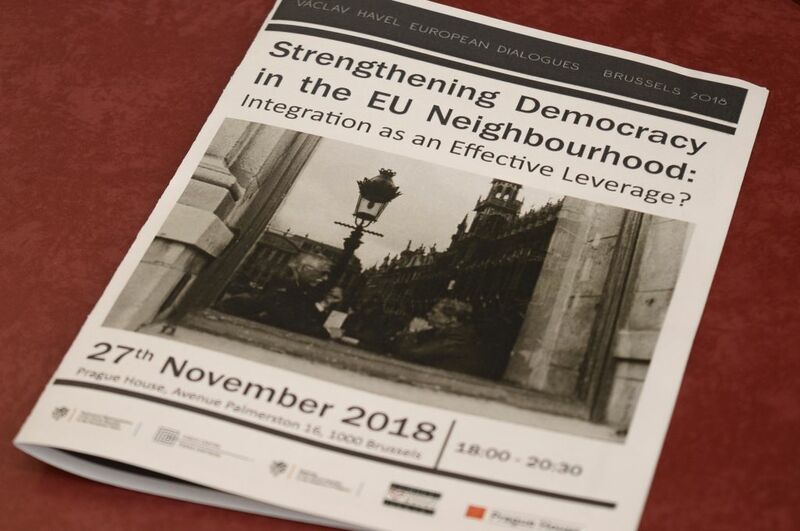 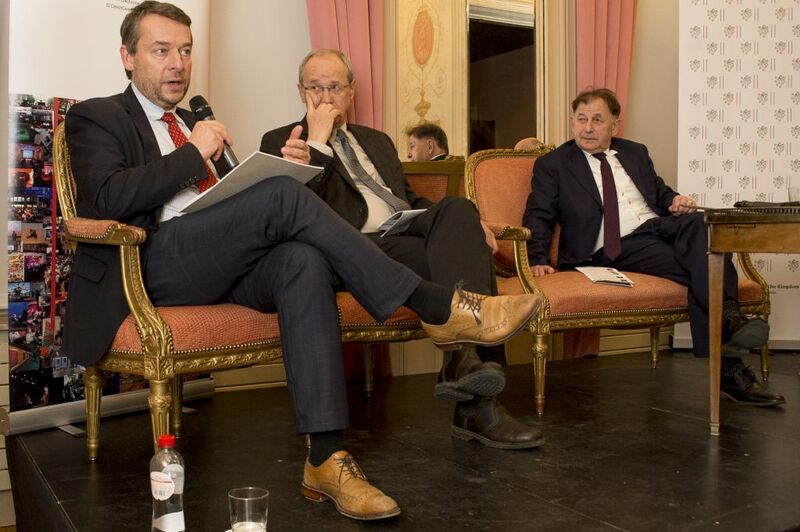 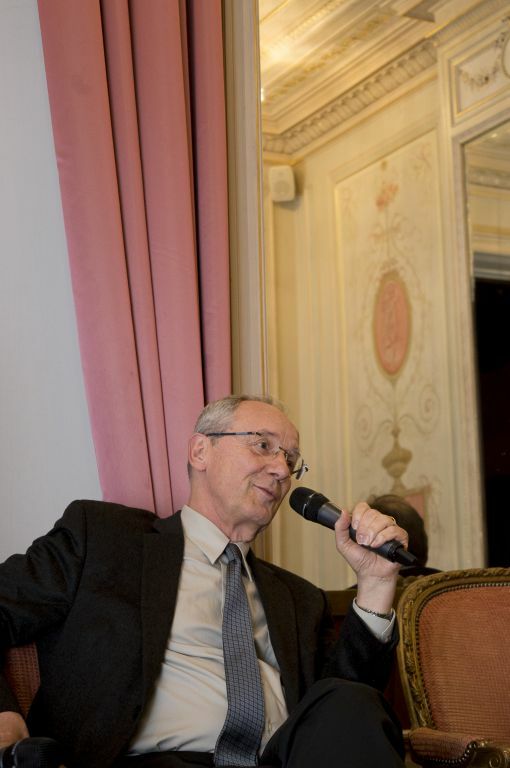 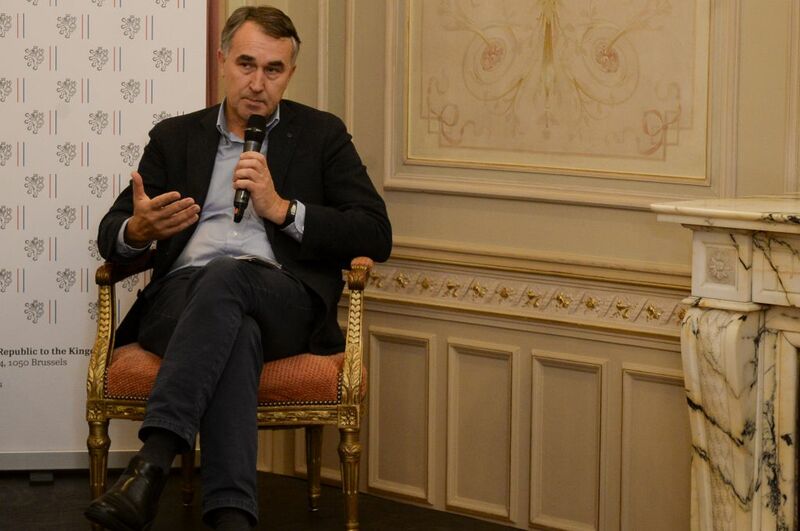 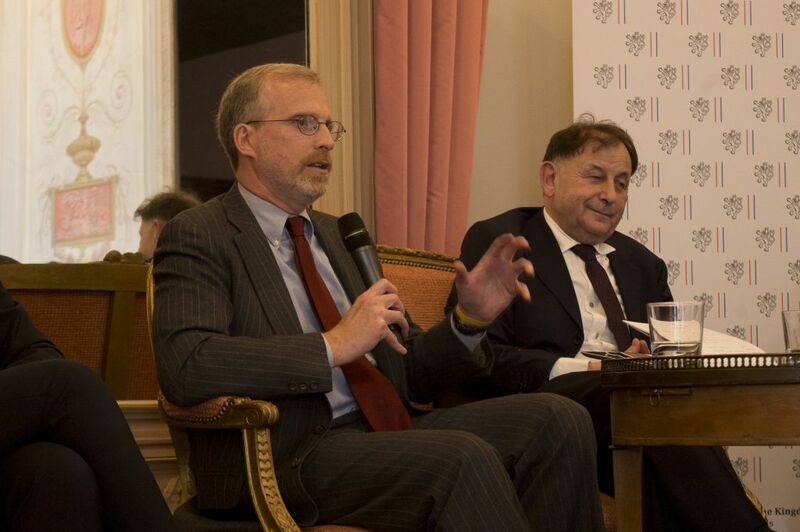 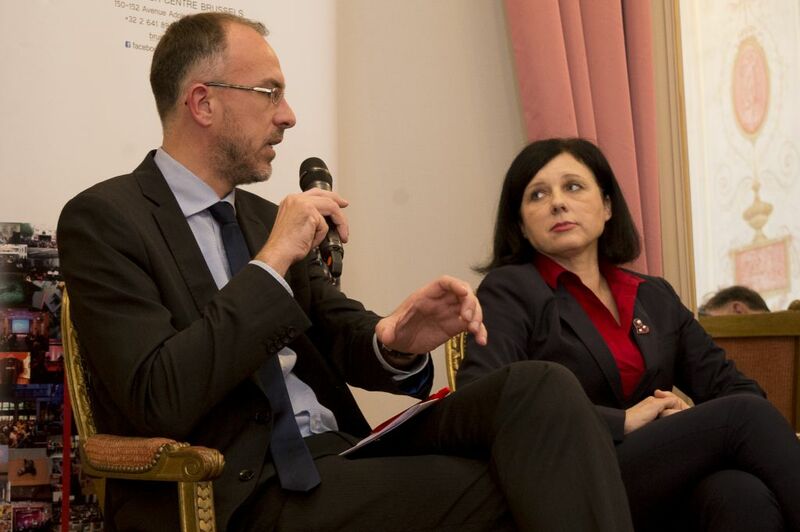 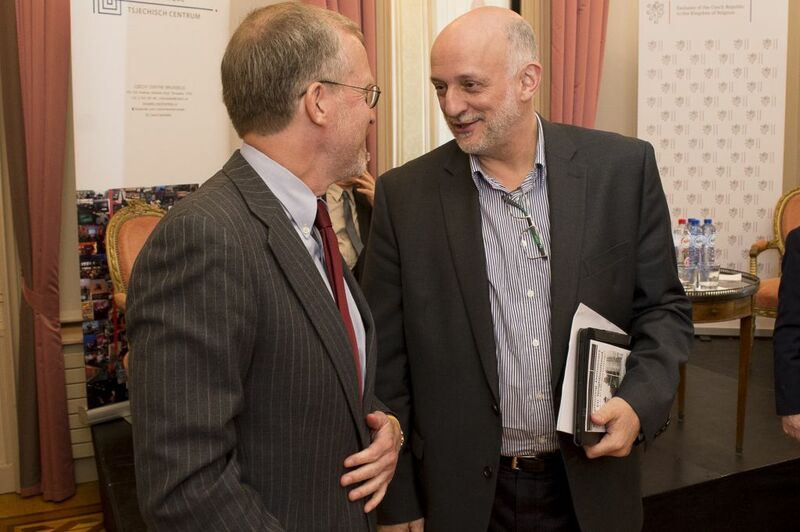 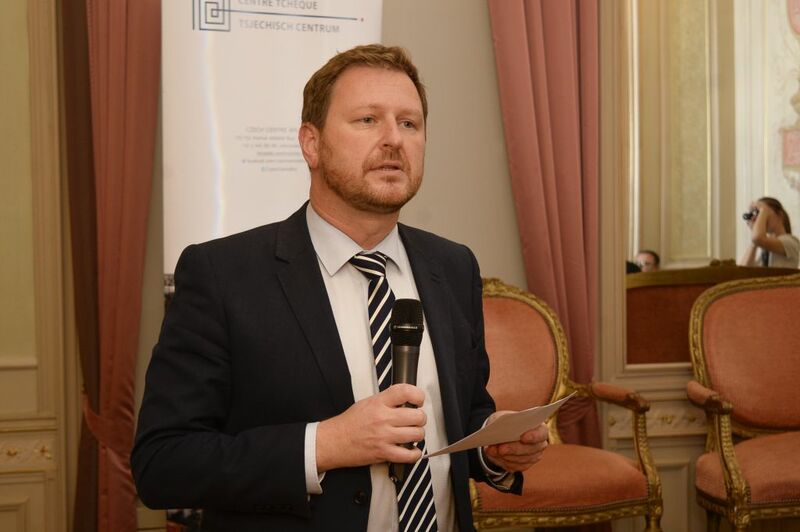 On Tuesday 27 November 2018 the Prague House in Brussels hosted an international conference called „Strengthening Democracy in the EU Neighbourhood: Integration as an Effective Leverage?“, which is a part of the project „Václav Havel European Dialogues“ led by Václav Havel Library for many years already. 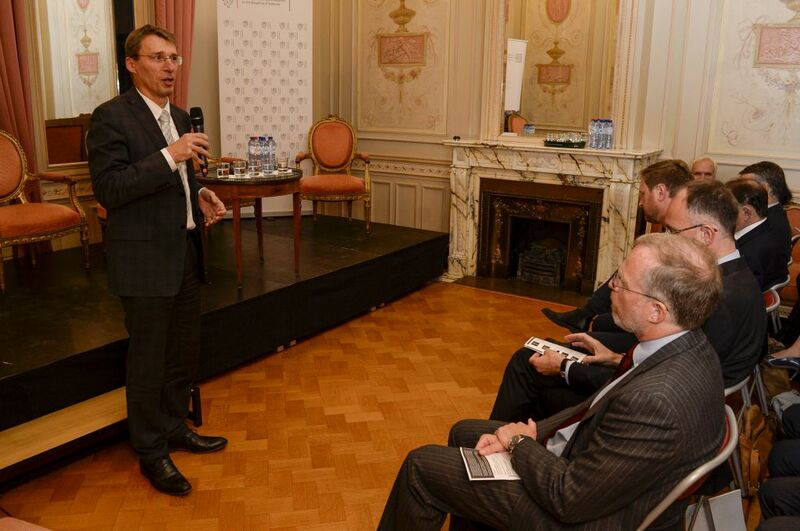 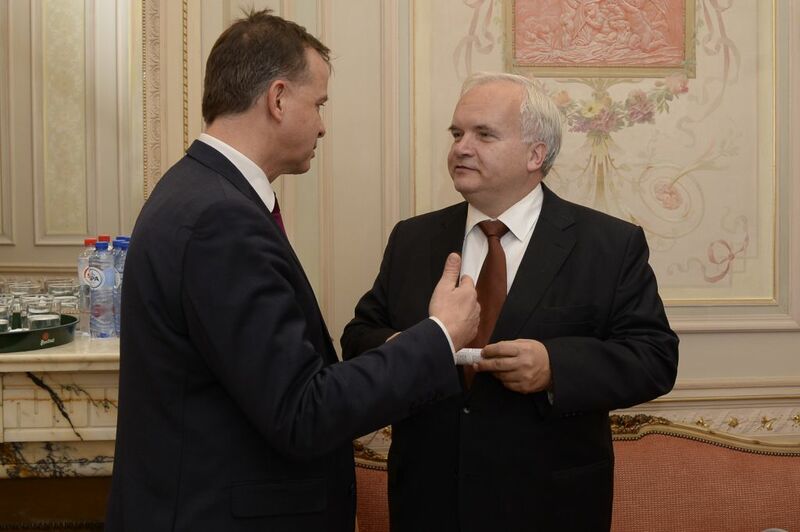 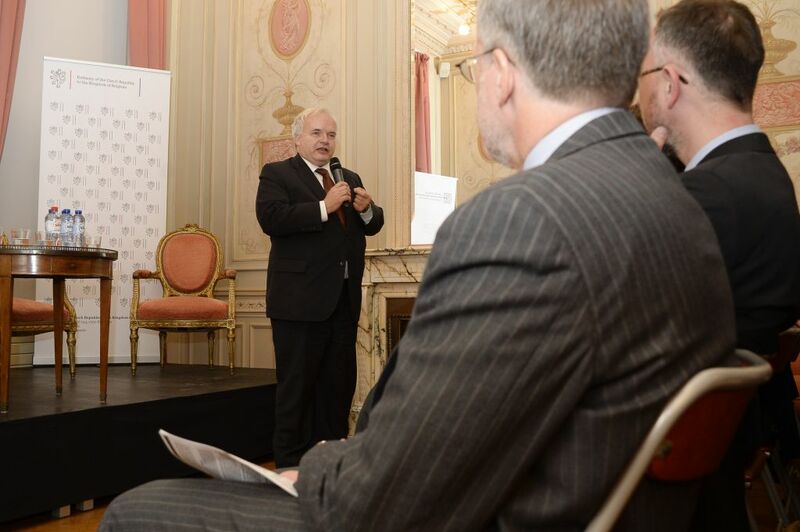 The event was organised in cooperation with the Permanent Representation of the Czech Republic to the European Union, the Czech Centre in Brussels and the Embassy of the Czech Republic to the Kingdom of Belgium. 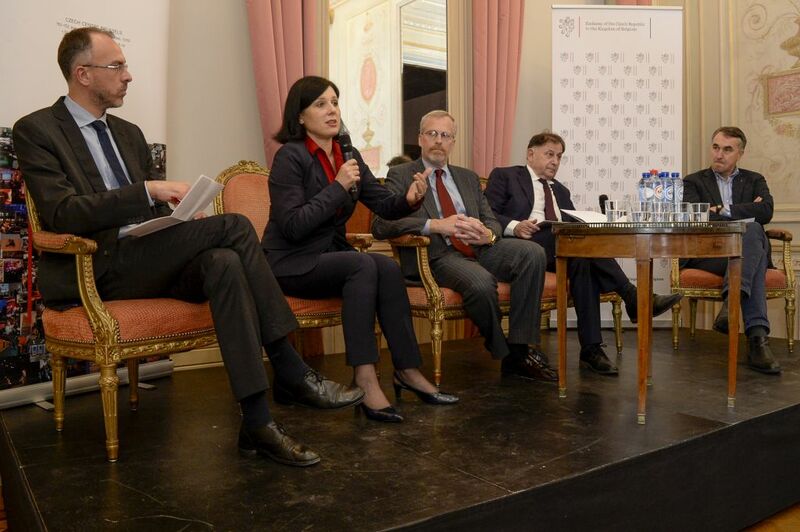 The main idea of the Václav Havel European Dialogues conferences is to create a platform for an international dialogue which should be developed between states, institutions and people. 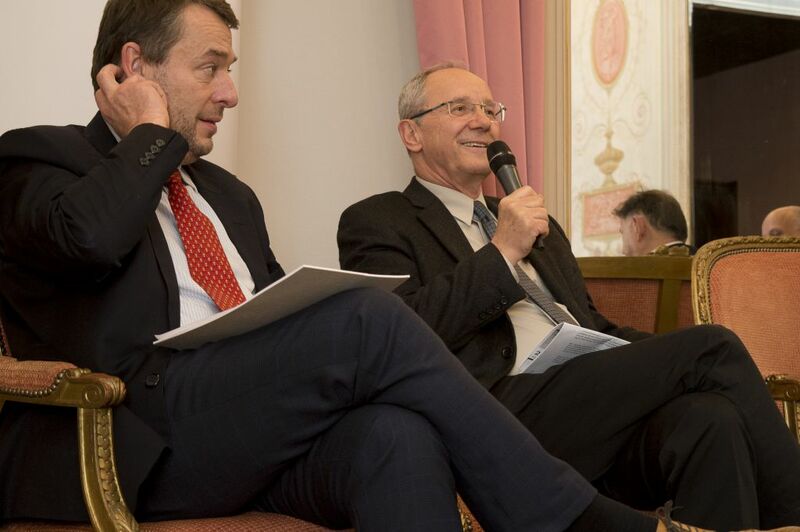 Václav Havel considered this form of dialogue as the essential element of the European democracy. 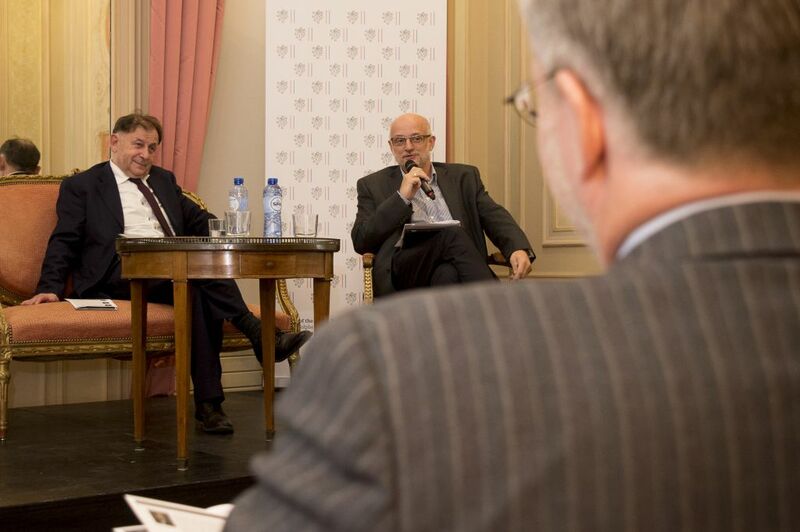 This year the main part of the Brussels conference was divided to two panels. 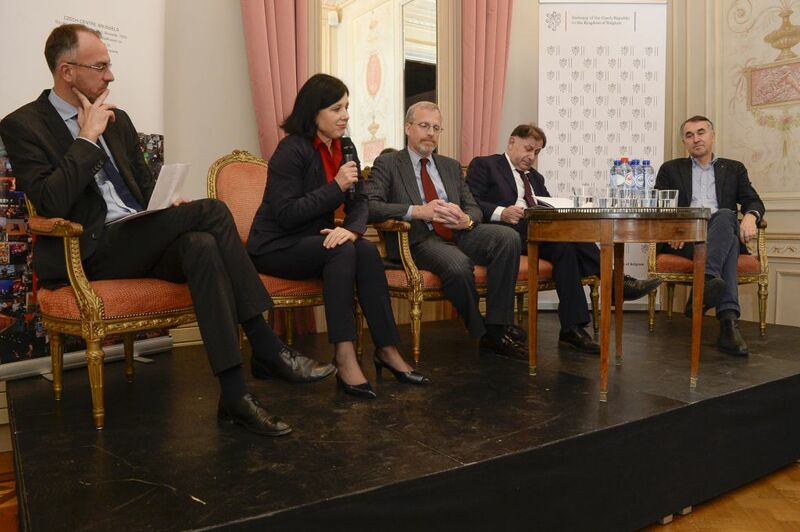 In the first one, the topic of guiding principles of the EU and their attraction for non-members was discussed by European Commissioner Věra Jourová together with Eric Maurice from the Brussels Office of Fondation Robert Schuman, Lithuanian Member of European Parliament Petras Auštrevičius and David J. Kramer from Florida International University. 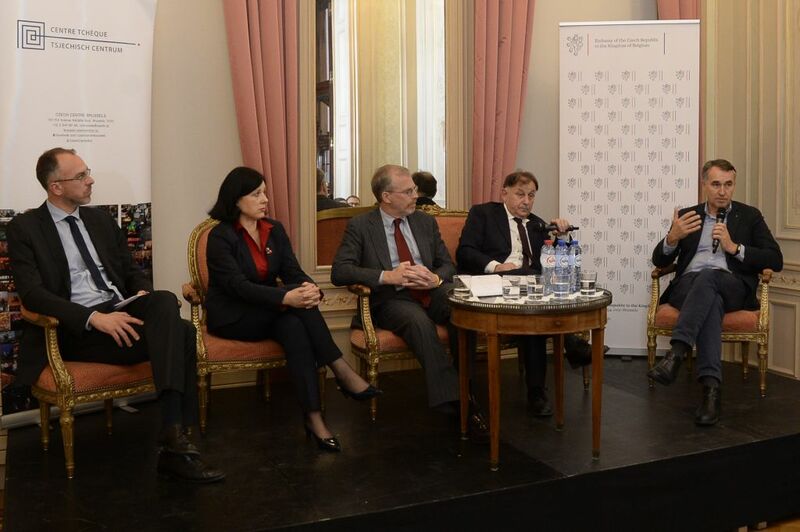 The second panel treated the topic of Western Balkans and their relations to the European Union. 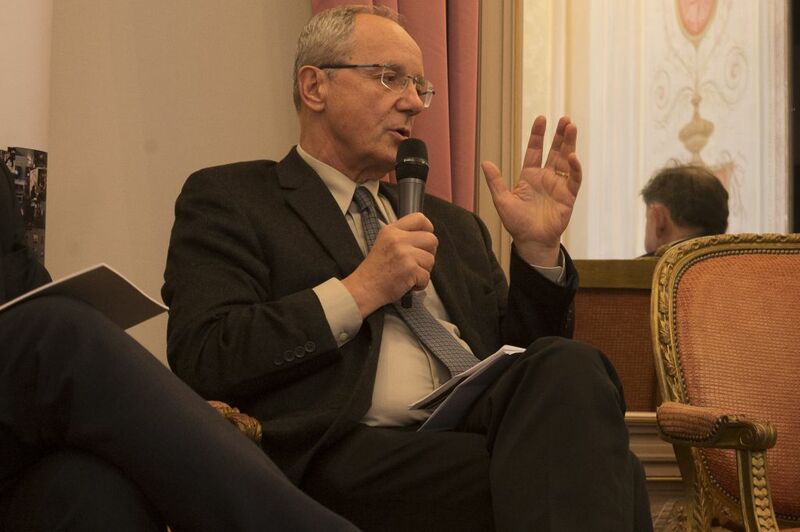 Jerzy Pomianowski, the executive director of the European Endowment for Democracy, participated in the debate with Šimon Pánek, the executive director of Czech humanitarian organisation People in Need and Nenad Pejić, the acting president and editor-in-chief from the Radio Free Europe/Radio Liberty. 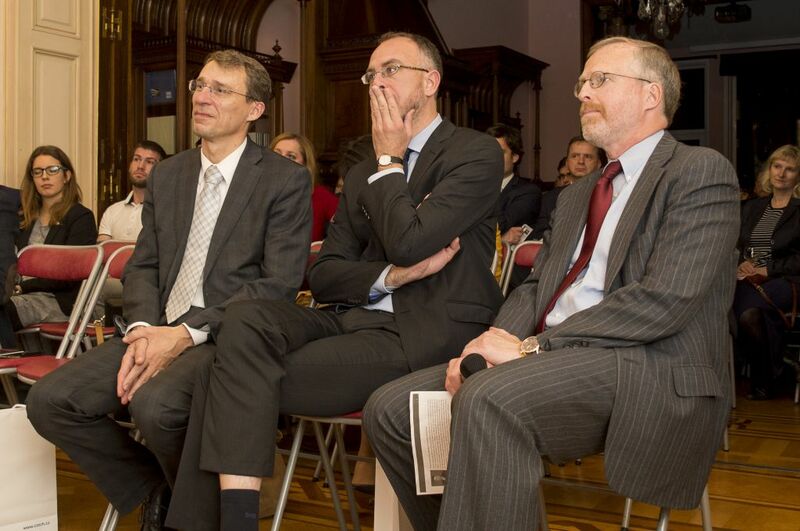 H. E. Jakub Dürr, Permanent Representative of the Czech Republic to the EU, H. E. Jaroslav Kurfürst, Ambassador of the Czech Republic to the Kingdom of Belgium and Pavel Svoboda, Czech Member of European Parliament, introduced the conference by their opening remarks. 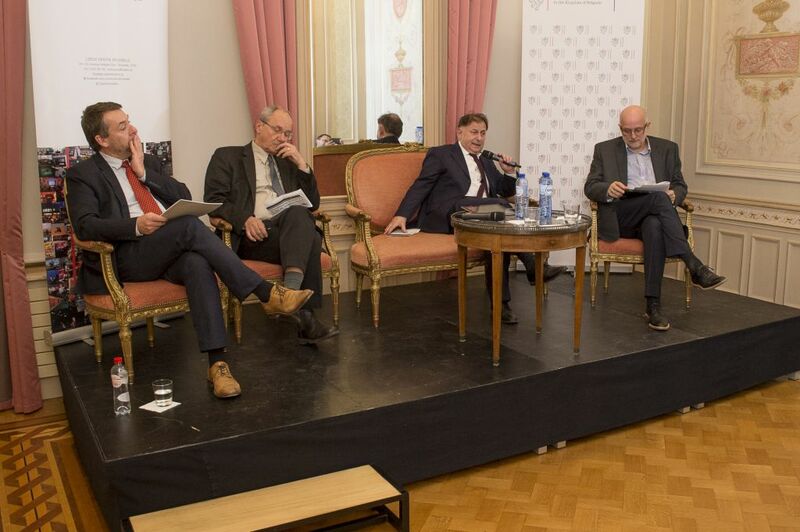 The panel debates were moderated by Michael Žantovský, the executive director of the Václav Havel Library.